Homecurrent health articlesAre Some Omega-3 Fish Oil Supplements Better Than Others? Are Some Omega-3 Fish Oil Supplements Better Than Others? The ethyl ester form of omega-3 fatty acids from fish oil has been the industry standard for high purity omega-3 fish oil supplements for many years. It is very stable, easily purified, and well absorbed by the body. What’s not to like? If you believe some recent advertisements, there is a lot not to like about the ethyl ester form of omega-3s. These ads each claim that their particular form of omega-3s is more natural, better absorbed, and more efficiently incorporated into cell membranes, or some combination of those features. They each cite clinical studies “proving” that their products are superior. These advertisements seem so plausible and so compelling. However, most of these advertisements come from relatively new companies that are trying to make a name for themselves in a very profitable and competitive product niche. Are the advertisements true, or is it all just smoke and mirrors? 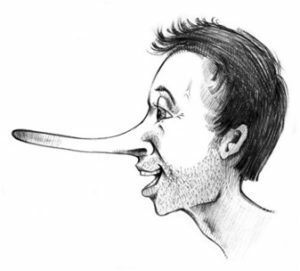 Most of these advertisements rate at least one Pinocchio. Free fatty acids (FFA) are long chain hydrocarbons with a single acid group at the end. They are only slightly water soluble. They are important intermediates in metabolism, but they are almost always combined with something else in the body. Saturated fatty acids contain no double bonds, monounsaturated fatty acids contain one double bond, and polyunsaturated fatty acids contain multiple double bonds. The number of double bonds primarily affects whether they are liquids (polyunsaturated) or solids (saturated) at room temperature. There are two classes of polyunsaturated fatty acids that are essential because the body cannot make them. Those with a double bond 3 carbons from the end are called omega-3s(If you think about the Greek alphabet, omega is at the end). Those with a double bond 6 carbons from the end are called omega-6s. 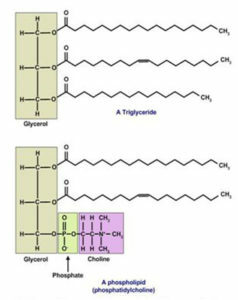 When 3 fatty acids are combined with a single molecule of glycerol they form very water insoluble compounds commonly referred to as fats or triglycerides. The proper chemical name is triacylglycerol, which is abbreviated TAG. If one of the fatty acids on the glycerol chain is replaced by a compound containing phosphate and other charged residues, the resulting complex is called a phospholipid (PL). Because these compounds have a hydrocarbon surface that is attracted to fats and a highly charged surface that is attracted to water, they are good at emulsifying fats and are an important part of membrane structure. One phospholipid that is a major component of membranes is called phosphatidylcholine (PC), also known as lecithin. The omega-3s in fish oil are primarily in the form of triglycerides, with small amounts of phospholipids. The omega-3s in most omega-3 supplements are in the form of ethyl esters for the reasons stated above. Before the omega-3s leave the intestine they are hydrolyzed to free fatty acids. In the cells that line the intestine the omega-3s are reconverted back into triglycerides and phospholipids and incorporated into special lipid-protein complexes for transport through the blood. Once these lipid-protein complexes reach our cells, their contents are delivered to the cell where they can be stored as fat (TAG), used for energy (FFA), or incorporated into membranes (PL). It is primarily the omega-3s incorporated in cellular membranes that are thought to be responsible for the beneficial effects of omega-3s. While there are some nuances that I did not cover, the basic mechanisms of absorption and metabolism of omega-3s are remarkably similar regardless of whether they start out in the ethyl ester, triglyceride, phospholipid, or free fatty acid form. The questions then become, how does one test how efficiently the various forms are utilized by the body and how much do these individual test actually tell us? When you look at some of the ads touting specialized forms of omega-3s, they are usually based on studies looking at either the maximum levels of omega-3s in the bloodstream (Cmax) or how rapidly those maximum levels were achieved (Tmax). (One suspects the ads may have selectively featured whichever parameter made their product look best). However, the parameter that really matters is the total concentration of omega-3s achieved over time (AUC). Finally, the most important question is how much of the omega-3 is actually incorporated into cellular membranes. Once again, there is more than one parameter that can be measured. One can measure the level of omega-3s found in cellular membranes in a short term study (a few hours) or in a long term study following many weeks of supplementation. The short term studies only measure the rate of incorporation. The long term studies measure the steady state levels attained over time, which is a much more relevant measure. Once again, the ads touting specialized products are usually based on short term studies which are really measuring an initial rate of incorporation of omega-3s into cellular membranes, not on long term studies that measure the steady state level of omega-3s achieved over time. There has been a lot of confusion in the literature about whether the form of omega-3 supplements matters. Various studies have been published supporting the superiority of one form or another of omega-3s. Most of these studies have been supported by manufacturers who have a particular form of omega-3s they want to sell, and, as I mentioned above, the parameters tested seem to have been selected to make their supplement look good. So, are some omega-3 fish oil supplements better than others? Finally, someone has designed a comprehensive study to clear up all the confusion and provide answers that can be trusted (West et al, British Journal of Nutrition, 116: 788-797, 2016). Interestingly, this research was supported by a pharmaceutical company (Vifor Pharma) that does not appear to sell an omega-3 product currently. Perhaps they simply wanted to find out what worked best before designing their own product. What a novel concept! Unmodified fish oil containing the omega-3s primarily in triglyceride form (uTAG). An omega-3 supplement in which the omega-3s in the fish oil had been hydrolyzed to free fatty acids (FFA). All 4 supplements contained 1.1 grams of EPA and 0.37 grams of DHA. One was a cross-over study where healthy men consumed each of the supplements in random order on different days with 14 days between tests. Blood samples were collected over the next 6 hours and levels of EPA and DHA in the blood and cellular membranes was determined. The other was a long term study in which a randomized group of healthy men and women consumed one of the supplements for 12-weeks and incorporation of the EPA and DHA into cellular membranes was measured. In the short term study there were no significant differences between the various supplements in the rate of uptake, maximum concentration achieved, or the total concentration over time when uptake of omega-3s into plasma triglycerides and phospholipids was measured. The ethyl ester form was less efficiently incorporated into plasma free fatty acids than the other forms as reported in some previous studies, but this is perhaps the least important parameter measured, and there was large variability from subject to subject. In the long term study, no significant differences were seen between the various supplements in omega-3 incorporation into cellular membranes. What Do These Studies Mean For You? You can forget all those ads hyping the newest, greatest form of omega-3 fish oil supplements. 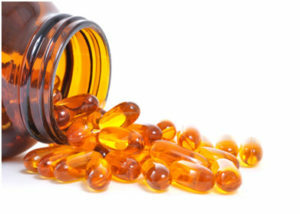 Objective research has shown there is not a dimes worth of difference between the various forms of omega-3 supplements. A far more important question is the purity of the omega-3 supplement you are using. Purity of omega-3 supplements is a huge issue. You need to remember that the EPA + DHA supplements you purchase come from polluted fish. Unfortunately, many manufacturers have inadequate purification and quality control standards. In other words, neither you nor they know whether their omega-3 products are pure. You need to make sure that the omega-3 supplement you purchase is made by a manufacturer with stringent quality control standards. Sustainability is also an issue, so you should choose manufacturers who source their omega-3s in a sustainable manner. There are two comments I will make about sustainability so you won’t be misled. Krill oil is marketed as a more sustainable source of omega-3s. Krill reserves are quite large, but they are not infinite. Krill is also the very foundation of the food chain that supports a large percentage of our ocean’s fish. We need to be very cautious about depleting our krill reserves. Omega-3s derived from algae are also marketed as a more sustainable source of omega-3s. Algae-derived omega-3s have purity issues of their own, but may become an important source of omega-3s once those issues have been resolved. The ethyl ester form of omega-3 fatty acids from fish oil has been the industry standard for high purity fish oil supplements for many years. It is very stable, easily purified, and well absorbed by the body. However, in recent years, some manufacturers have been claiming that their omega-3 fish oil supplements were better utilized by the body because their supplements contained the omega-3s in triglyceride or free fatty acid forms. Unfortunately, the clinical studies supporting those claims have been supported by the manufacturers making the products. There is reason to suspect that the data has been “cherry picked” to support the conclusions that support the manufacturer’s claims. Finally, an independent and comprehensive study has compared the various forms of omega-3 fatty acids. It found that neither the lipid structure nor the overall fatty acid composition of omega-3 supplements influenced their bioavailability during long term dietary supplementation.